Nelson Ireson November 28, 2011 Comment Now! Picking a single winner out of a field of excellent cars is a tough task, particularly this year, with so many new or significantly improved cars in the luxury and performance realm. Value, style, performance, comfort, and practicality all weigh in, but ultimately, the question of which is truly the best comes down to the experience of owning and driving it. 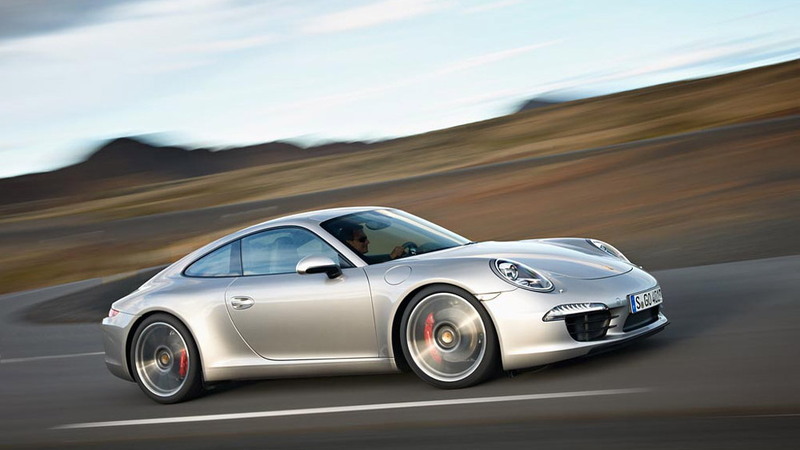 That's why Motor Authority's 2012 Best Car To Buy is the the 2012 Porsche 911. It's latest in seven generations of the iconic sports car, and, in almost every way, the best. Putting the engine behind the rear wheels is an odd choice for a sports car, or for any car for that matter. Doing so creates some odd behavioral tendencies, including a sudden willingness to spin for which the 911 was once (in)famous. Under power, having all that weight in the rear can lead to brilliant straight-line acceleration, but when turning, it can create understeer. Not so with the 2012 911. Through chassis design, electronic management, and sheer refusal to bow to the laws of physics, Porsche's engineers have created a rear-engined sports car that is, even at the outer limits, almost completely balanced. Once you learn its tendencies--remnants of that snap-oversteer past--the 911 Carrera is one of the easiest cars in the world to place precisely where you want it, even if you have to make a small adjustment mid-turn; lift off a bit and the nose tucks in smoothly, roll in a touch more throttle and the car's arc widens ever so gradually. It's brilliant. So brilliant that even the slightly damp blanket of electro-mechanical power steering (EPS) doesn't kill the party. Here, again, Porsche's engineers have turned expectations on their head, mostly working around the numb, disconnected feeling inherent to all other EPS systems we've tested thus far, delivering a slightly diminished but still very usable interpretation of the 911's legendary steering feel. 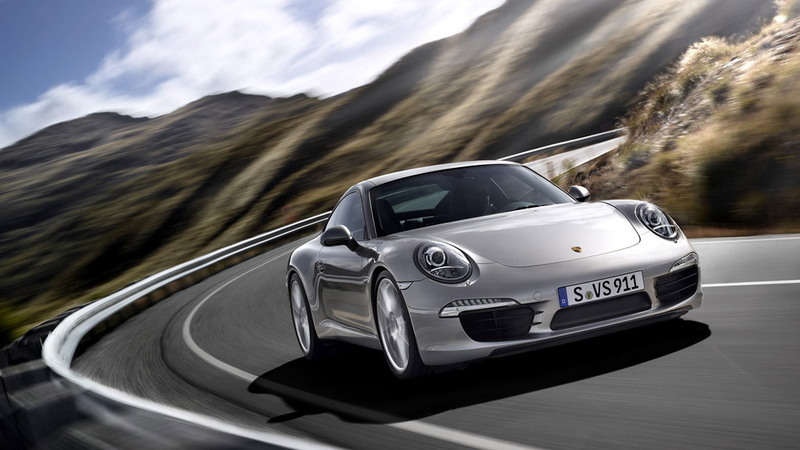 It's also lightning quick thanks to its revvy, efficienct direct-injection 350-hp (Carrera) or 400-hp (Carrera S) engines, particularly when paired with the newly re-tuned PDK dual-clutch transmission. While we're soundly in the give-me-a-stick-shift camp for any sports car, perhaps especially in the case of the novel yet highly effective new seven-speed (!) manual in the 2012 911, the PDK transmission is a true joy to drive. Shifts are lightning-quick, with none of the troublesome hesitation at the upper end of the range found in some other manufacturers' solutions. With the system turned up to its sportiest settings, engaging and using launch control is a breeze: just step on the brake with your left foot and mash the throttle. When you're ready to go, let off the brake and whoosh! you're off, a quick chirp from the rear tires and the horizon is in your lap. Choose to shift for yourself or let the near-telepathic computer do it for you. Either way, it's high-tech fun that also helps you tick of faster laps. Perhaps best of all, Porsche is so confident in its engineering that none of this hoonery, including launch control, will ever void the warranty--again, unlike some of the closest competitors. 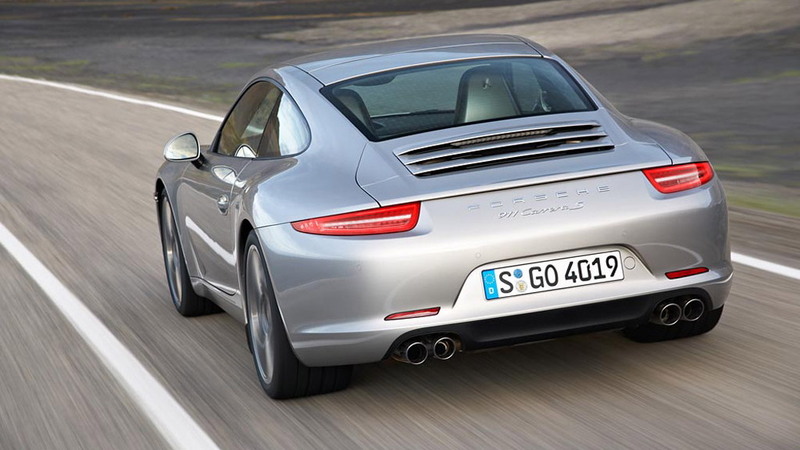 It would be enough if the 2012 911 were the immensely capable sports it is and had just a nice interior. But the new 911's cabin leaves nice like it leaves the starting line. Lush yet light leathers, refined and durable-seeming plastics, and fit and finish between the two and across all the switchgear that would make a bespoke hand-builder worry about the future of their job all combine to form a truly luxurious and beautiful space. For some cars, delivering this cabin alone would be enough. But Porsche doesn't stop there. 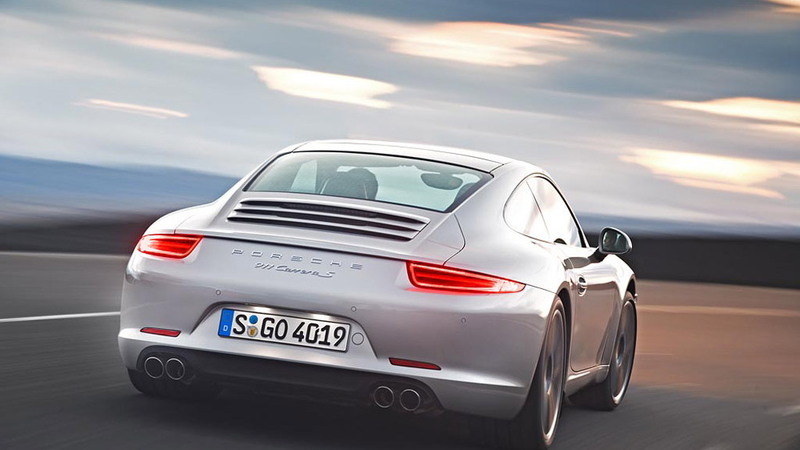 By lengthening the wheelbase by almost four inches for 2012, the new 911 has rear seats that are actually usable, at least for medium-height adults and certainly for children. Thanks to its classic sloping coupe profile, headroom is somewhat limited, though less so than you might expect, and leg room, while better, is still tight in back. Up front, however, there's ample room even for those well over six feet tall, with supportive, extensively adjustable seats and excellent visibility to all quarters. Perhaps vindicating the decision to put the engine in the rear, the front-mounted trunk is taller, longer, and more spacious than it would be if at the opposite end. It's also easy to load, and able to easily envelope a weekend's luggage for two plus a handful of odds and ends. 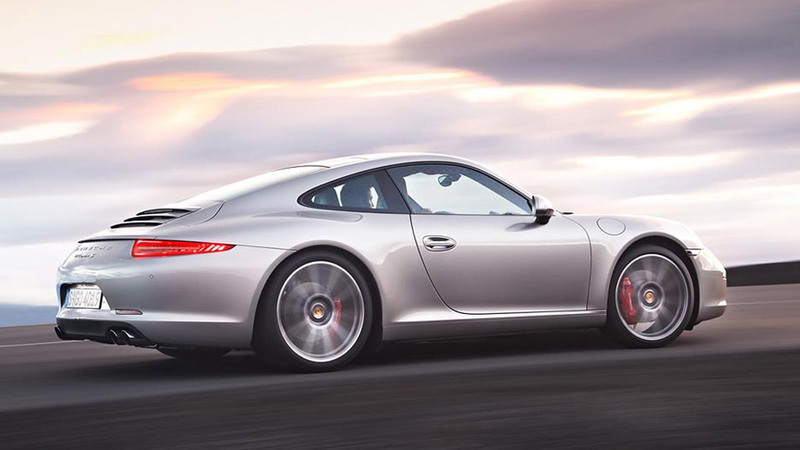 In other words, the 2012 Porsche 911 is a sports car that's built for a life not just lived, but lived well, with friends and family. With any car that's not meant to live its life in a garage, it's important to consider what you can do inside it and how safe you'll feel while driving. In both cases, the new 911 excels. In fact, Porshce's racing heritage and performance-focused design actually help deliver more safety, too, with the Porsche Torque Vectoring (PTV) and Porsche Stability Management (PSM) systems helping the driver to apply power and keep the car under control in any conditions. Standard two-stage driver and passenger air bags, plus side and knee airbags, wrapped in an advanced steel-and-aluminum structure enhance occupant safety in the event that a crash is unavoidable. With safety concerns out of the way, you're free to enjoy the ride, and Porsche provides lots of options, including a 30-percent larger sunroof that leaves more headroom than the last. The previously-mentioned adjustable seats come in two favors, with optional seat heaters and seat ventilation. A two-zone automatic climate control system is standard, as is a nine-speaker, 235-watt CD/DVD/MP3 stereo. If you're an audio lover, however, there's a Burmester optional upgrade that delivers 12 speakers, a 300-watt subwoofer, and a sixteen-channel amplifier with over 800 watts total power. A Bose Surround Sound system is also available. For the daily grind, optional extras like ParkAssist, which helps the driver put the car into just about any available space, and Porsche Dynamic Lighting System, which has speed-sensitive and dynamic cornering control over the headlights, make any drive both safer and easier. With cars like the 2012 Ford Mustang Boss 302 offering much of the performance of the 911, or the BMW 6-Series offering similar luxury and comfort, or even the SLS AMG Roadster offering a close take on both, the 2012 Porsche 911 had a very strong crowd of rivals for this year's award. In the end, however, the 911's unique combination of speed, beauty, comfort, and practicality, plus its continued heritage of excellence and the somewhat inexplicable factor of just how satisfying it is to drive, the Porsche 911 is the best car we've driven this year, and it's the car we'd put in our garage given the chance--and that's why it's Motor Authority's 2012 Best Car To Buy.